The first reining horse Paul and Pam Rohus ever owned was "Gunner". 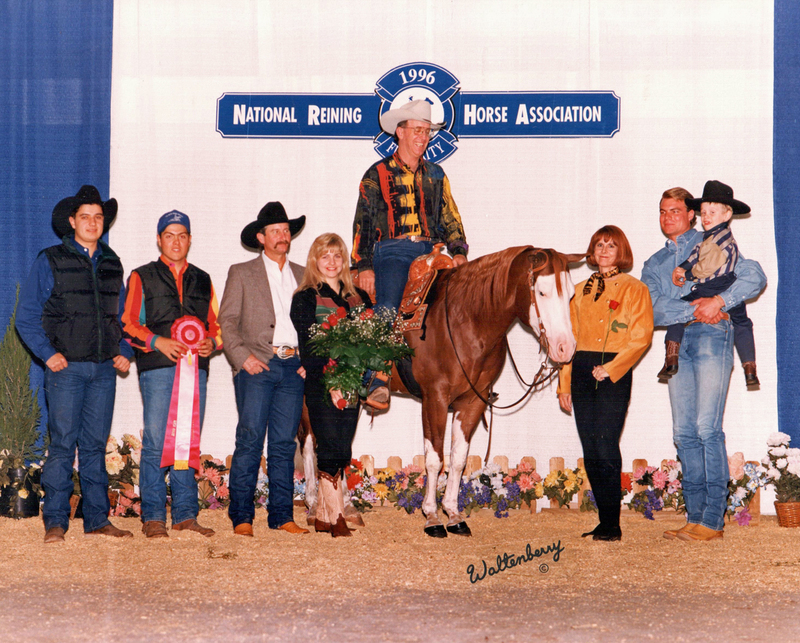 Paul and Pam Rohus took Gunner to trainer Clint Haverty, who brought him along and competed him as a 3-year-old to win the 1996 Open Reining Futurity at the APHA World Show as well as the 1996 NRHA Futurity Reserve Championship. 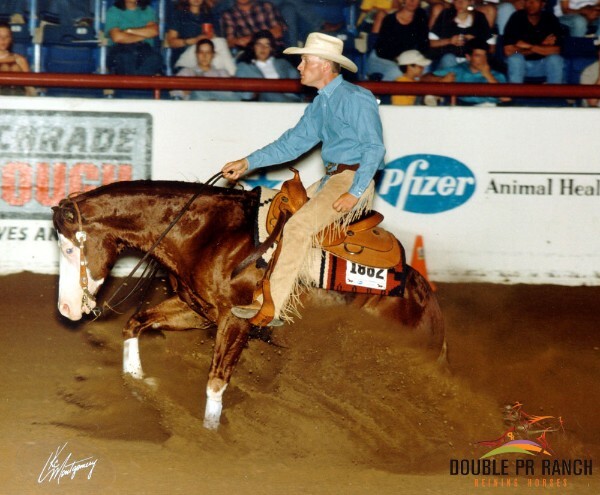 Gunner was sold to Kebra Ranch at the 1996 NRHA Futurity in Oklahoma City. Gunner continued on with his show career winning the APHA world championship in 1997 in Junior Reining, was the 1998 NRBC Open Reserve Champion and the 2001 United States Equestrian Team Festival of Champions National Reining Champion in Gladstone, New Jersey. He retired with an Equi-Stat record of $177,386. His accolades earned him immortalization as a Breyer model horse in 2001, and NRHA inducted him into their Hall of Fame in 2003. In 2005, Tim and Colleen McQuay bought Gunner and stood him at their McQuay Stables in Tioga, Texas, where he lived out his life. Gunner was a phenomenal reining horse and we are grateful to have owned such a great horse in our lifetime. He had a big heart and the crowds always loved him! ...Everyone loves Gunner! In Memory of Gunner...3/18/93 - 7/8/2013. We are honored to continue his legacy with a bald-faced dual registered Quarter Horse / Paint stallion Colonels Lil Gun. Colonels Lil Gun ~ Earner of $24,892; 90 APHA points and 6 AQHA points. Lil Gun, taken to trainer Clint Haverty who competed on him as a 3-year old and placed 6th at the 2000 APHA World Championship Reining Futurity. Lil Gun went on to win the 2000 Arizona Futurity Championship, was an Open Futurity Finalist at the 2000 NRHA Futurity	with Randy Paul at the reins. He is a two time Open Finalist at the NRBC shown by Randy Paul and Luke Gagnon. 2001 APHA World Champion Junior Reining with Luke Gagnon at the reins (assistant to Tim McQuay at the time). In 2003 Lil Gun was shown in Non-Pro Intermediate classes winning several Championships. 2015 Equi-Stat, one of the Leading Reining Sires. 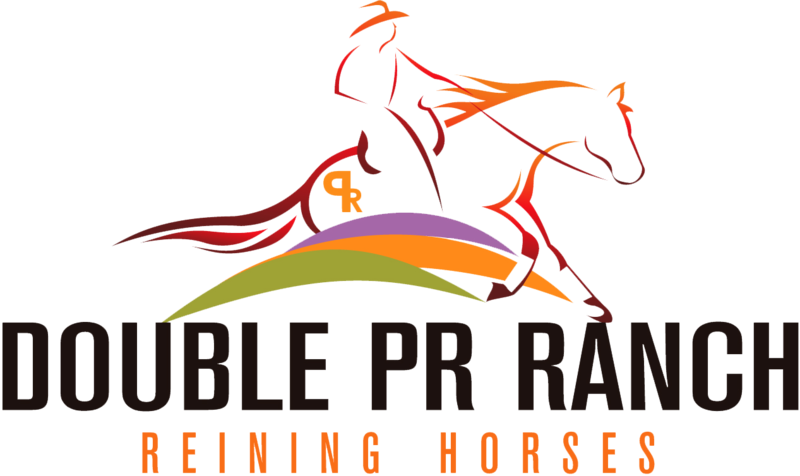 Double PR Ranch has sold Colonels Lil Gun to Seelhof Performance Horses, and they will continue with his breeding program. We are proud to offer quality bred and dual registered AQHA and APHA reining prospects for sale.